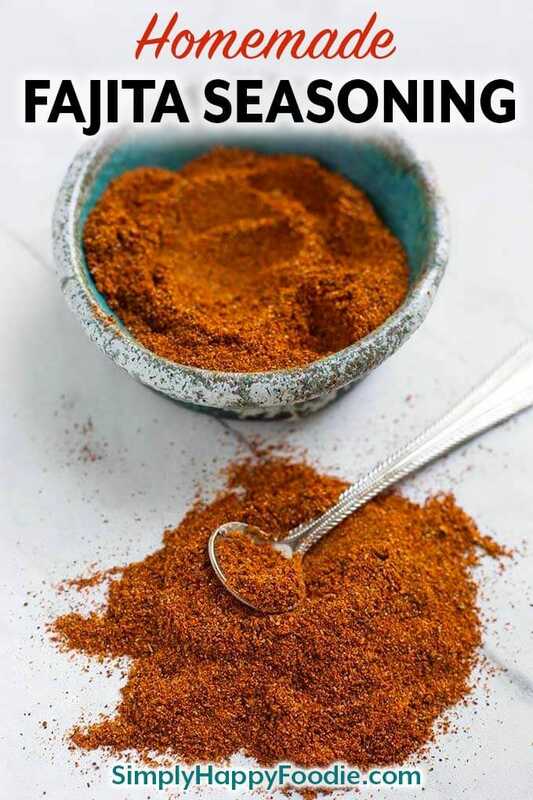 A good Homemade Fajita Seasoning will make a big difference in how your recipe will turn out. 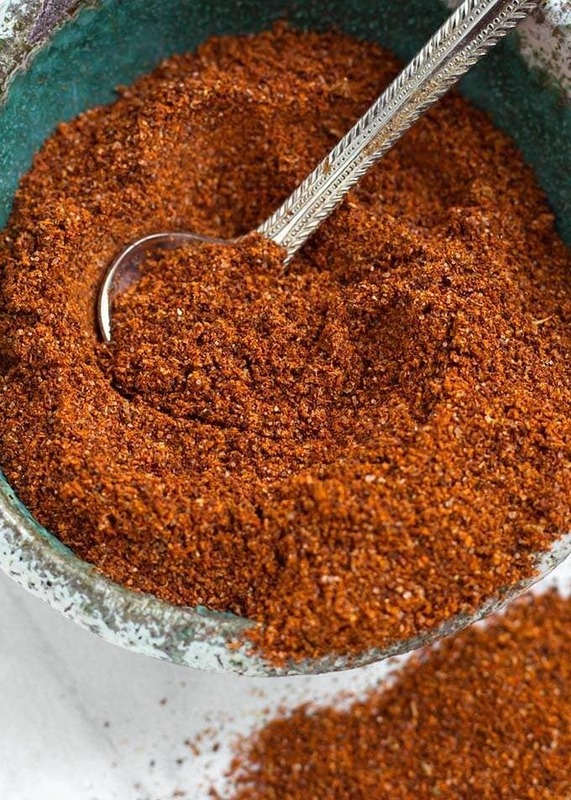 This homemade Fajita Seasoning blend is delicious on chicken, steak, pork, and vegetables. We love to eat fajitas! I wanted to be able to make them at home, so I needed a good fajita spice blend that was as good as the Mexican restaurant we like to go to. One of the reasons I prefer to make my own seasoning blends is that I can control the ingredients. If I want it saltier, spicier, or whatever, I can customize that blend to our tastes! 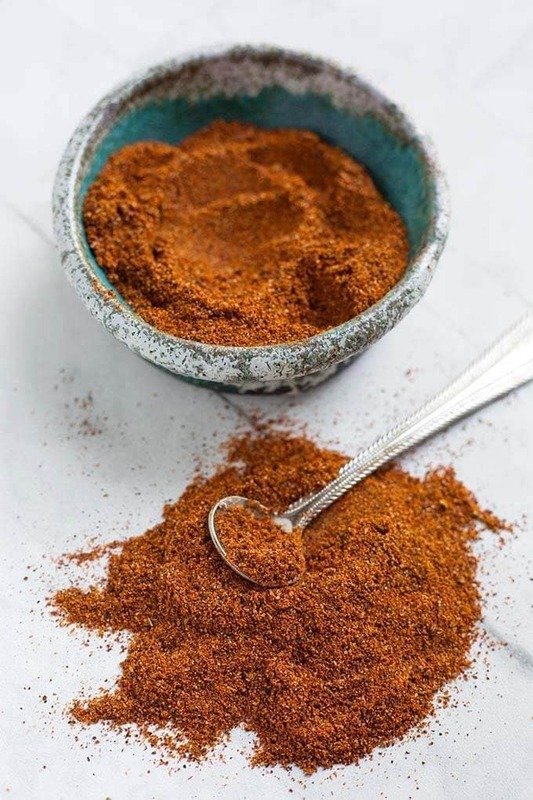 The other advantage is that most of my spice blends are made with easy to find spices that I always have on hand. Then it is just a matter of mixing up a new batch when I run out. It takes like 5 minutes. 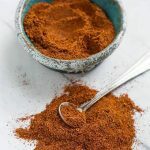 I love this homemade Fajita Seasoning blend, and love to put it on my Slow Cooker Chicken Fajitas recipe. They are so delicious, and EASY to make! A very healthy version of this Mexican classic meal. I hope you’ll try them! My favorite place to get spices to make blends from is at the Pike Place Market. It is called MarketSpice and has been there since 1911. They have teas, and all kinds of herbs and such. If you get a chance to visit Seattle, this is a must visit shop if you are a cook! Add all of the ingredients together and put in a 1 cup mason jar with a lid. Give it a good shake to mix it up.